You’ve planned out how to make your venue look fantastic, but when nature calls, will your guests find an ignored space? Perking up your venue’s restrooms can make a big impression with just a small amount of effort. 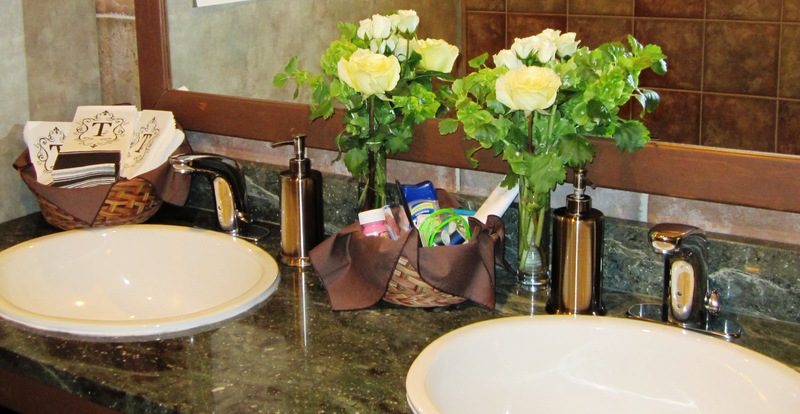 Flowers are the ideal way to add something special to the restrooms. Putting bud vases with a few blooms next to the sinks can be a wonderful way of brightening these rooms up. Of course, if there’s room for them, larger bouquets can also look great. A great choice is to use flowers in your wedding colors, including those used throughout the rest of your décor. This gives your guests a sense of continuity and will make the restrooms feel like a real part of your wedding. You can also add in a few fragrant blooms to make the restrooms more inviting. To find out more about using flowers in the bathrooms and throughout the venue of your Wisconsin wedding, give us a call or stop by our West Allis flower shop today!